MBC (Mauritius Broadcasting Corporation) or CBC (Cultural Broadcasting Channels) ? 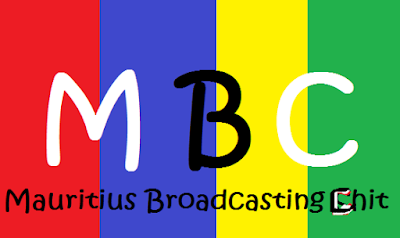 The Mauritius Broadcasting Corporating has launched 6 more channels putting forward the cultural diversity of the country. 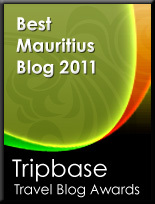 We are here talking about the Mauritius Tv. Tv- A big T for Tele ! and Small v for Vision. The MBC lacks vision. Some questions which are left unanswered! Apart from the doordarshan channels which we already had, what was the need to add more doordashan channels ? Is there such a demand for cultural channels ? Has there been a survey by the MBC asking the MBC viewers the kind of channel they would want to have ? Has there been a proper market research ? If yes, what are the results of the Market Research ? On what figures has the MBC based itself to determine the languages that represent each segment of the population ? Is Arabic not spoken as much as Mandarin in Mauritius ? So many question marks that give a very bad image to MBC Tv. A lack of vision that has tarnished the image on the regional scene. If all the cultures are now represented by individual channels why do we still have the cultural shows on mbc 1, mbc 2, mbc 3 and movies channel. Why don't they put all hindi films on the channels broadcasting in hindi language?. Why don't they put all urdu films and series on the channel broadcasting in urdu? I could go on the like that..
What channel represent a large minority or majority of Mauritians who enjoy European and American shows / Films ? Mauritians are fond of American / French / English movies, why are we not given a channel for those kind of movies / series ? So many why ! So many question marks ! One of the important questions is definitely why have they chosen an urdu channel rather than an Arabic channel ?. Who are those persons who lobby for the urdu against the arabic language ? This is very bad. Muslims go on pilgrimmage to Saudi Arabia, they should learn arabic, and indeed a large segment of the muslims know talking arabic. The quran is written in arabic. The muslims are learning or will definitely learn arabic to understand well their religion. Someone with 'vision' would see that their would indeed be a demand for a channel in Arabic language in the years to come. But someone with no 'vision' can also see yesterday. I understand however that it might not be easy to forecast demand for tomorrow. But, what is the trend today?. If I can agree to the fact that for the liberty of everyone, it is the right of everyone to have a channel broadcasting in their cultural language. But it is very important that the right of the children of today are not sacrificed for the sake of cultural diversity. The children of today should be exposed to the western world, be fluent in english, french, if possible mandarin, arabic, spanish, russian and hindi. But, the culture of asians are changing, they are themselves following European and American culture. They are going towards the Western way of living. While, we are moving towards the eastern way of living. We should understand and learn to balance our society such that we can take benefits of the goods of each side and not end up with garbage.